Ancient peoples painted rocks or cave walls to record their histories. Their sorrows and pleasures were represented by the symbols they chose. 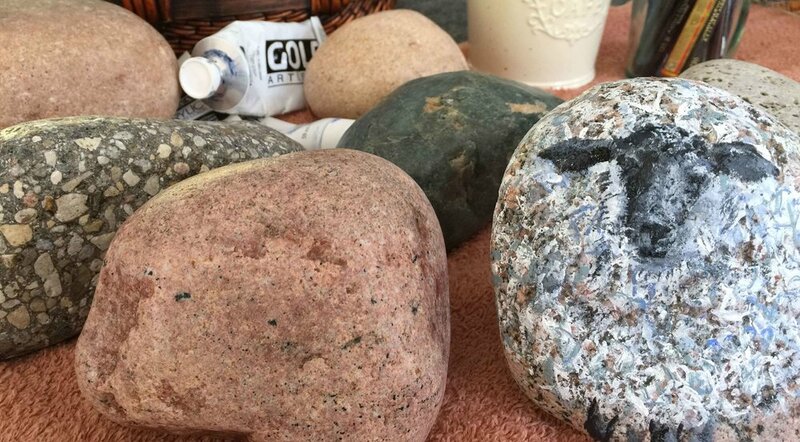 In Japan there is a tradition of painting rocks and wrapping them with string for good luck. The tied-up rocks are then placed inside or outdoors. Painted rocks can also be created as an expression of hope for new beginnings or as a way to manage energy. Join us for a Moms & Mimosas event, creating your own rock memorial.